It’s been a little over a year since one of college football’s best rivalries last kicked off in Tallahassee, Florida. Now, one of the most anticipated matches in the rivalry is less than a week from kickoff in Miami. An undefeated, but vulnerable, Florida State team – the defending national champions – will go in the trenches with the Hurricanes at 8 p.m. on Saturday night. Miami is riding a strong three-game winning streak, including a week’s rest and the monster stat of outscoring two ACC opponents, Virginia Tech and North Carolina, 77-26 in two weeks. The Miami-Florida State rivalry has had its biggest moments within the last five presidencies. For those who aren’t political mathematicians, that’s going back to Ronald Reagan in 1980. Although the two teams had met before, the rivalry truly began in 1987, when Miami came back from being down 19-3 to score 23 straight points in Tallahassee. Seminoles quarterback Danny McManus found Ronald Lewis in the end zone with 42 seconds left. FSU coach Bobby Bowden elected to win the game instead of forcing overtime, but the two-point conversion was batted away by safety, and seven-year NFL veteran Bubba McDowell. The Canes would stay undefeated for their second national championship. Then there was the string of five missed FSU field goals, starting with the most famous – or infamous, depending on the fan base – in 1991. FSU and Miami were No. 1 and No. 2 on Nov. 16, the 25th such matchup in college football history. Miami led 17-16 as the Noles drove downfield for one final score. It was up to Gerry Thomas, in his only year in an FSU uniform, to keep the dream of a national championship alive. Thomas had hit all three of his field goal tries already; the longest from 31 out. However, from 34 yards out at the left hashmark, the ball sailed wide right. Once again, Miami rode an undefeated 1991 season to its fourth national title. FSU kickers would run into similar misfortune in 1992, 2000, 2002 and the 2004 Orange Bowl. Two of those regular season misses would see the Canes play for a national championship, losing both times to Alabama and Ohio State. The list of memories could go on forever: Miami blanking out Deion Sanders and the rest of FSU’s preseason No. 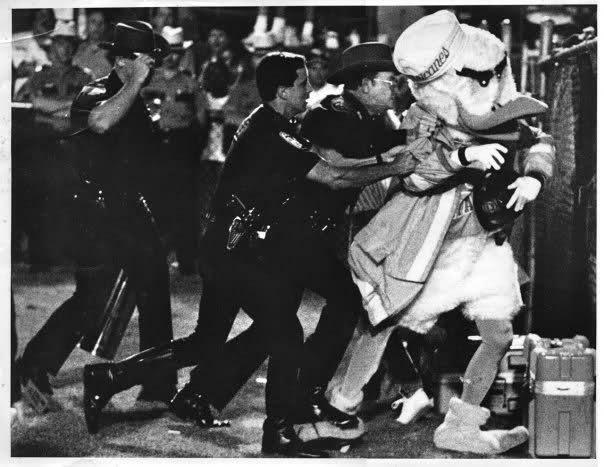 1 team 31-0 in 1988; Sebastian the Ibis tackled by the police in 1989 for attempting to extinguish Chief Osceola’s flaming spear in a fireman’s uniform; backup tight-end and future Superbowl winner Jeremy Shockey with the game-winning touchdown in 2000; Duke Johnson leaving Canes fans with so many what-ifs after his season-ending ankle injury last year. This rivalry still stands toward the top of the college football mountain. The best broadcasters on ESPN, ABC are assigned to the game, and it’s typically either played in primetime or, at the very least, is a strong 3:30 kickoff. The state of Florida and the rest of Canes and Noles nations spread out across the land anxiously await the weekend. The battle resumes on Saturday.